At the end of the Stone Age and in the early Bronze Age, families were established in a surprising manner in the Lechtal, south of Augsburg, Germany. The majority of women came from outside the area, probably from Bohemia or Central Germany, while men usually remained in the region of their birth. This so-called patrilocal pattern combined with individual female mobility was not a temporary phenomenon, but persisted over a period of 800 years during the transition from the Neolithic to the Early Bronze Age. The findings result from a research collaboration headed by Philipp Stockhammer of the Institute of Pre- and Protohistoric Archaeology and Archaeology of the Roman Provinces of the Ludwig-Maximilians-Universitat München. In addition to archaeological examinations, the team conducted stable isotope and ancient DNA analyses. Corina Knipper of the Curt-Engelhorn-Centre for Archaeometry, as well as Alissa Mittnik and Johannes Krause of the Max Planck Institute for the Science of Human History in Jena and the University of Tuebingen jointly directed these scientific investigations. 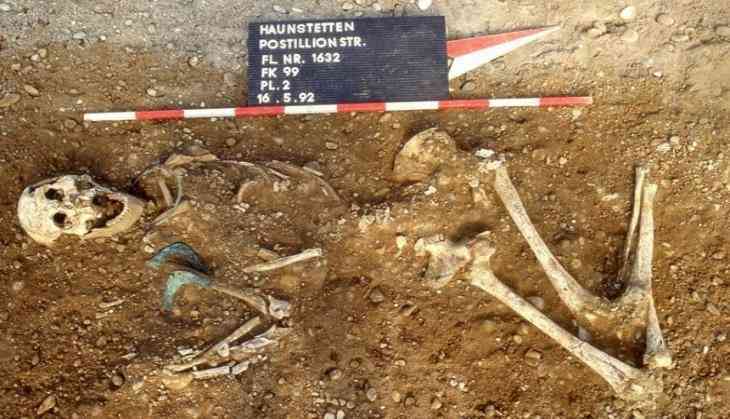 "Individual mobility was a major feature characterizing the lives of people in Central Europe even in the 3rd and early 2nd millennium," stated Philipp Stockhammer. The researchers suspect that it played a significant role in the exchange of cultural objects and ideas, which increased considerably in the Bronze Age, in turn promoting the development of new technologies. "We see a great diversity of different female lineages, which would occur if over time many women relocated to the Lech Valley from somewhere else," remarked Alissa Mittnik on the genetic analyses. Corina Knipper explained, "Based on analysis of strontium isotope ratios in molars, which allows us to draw conclusions about the origin of people, we were able to ascertain that the majority of women did not originate from the region." The burials of the women did not differ from that of the native population, indicating that the formerly foreign women were integrated into the local community. From an archaeological point of view, the new insights prove the importance of female mobility for cultural exchange in the Bronze Age. They also allow us to view the immense extent of early human mobility in a new light. "It appears that at least part of what was previously believed to be migration by groups is based on an institutionalized form of individual mobility," declared Stockhammer.